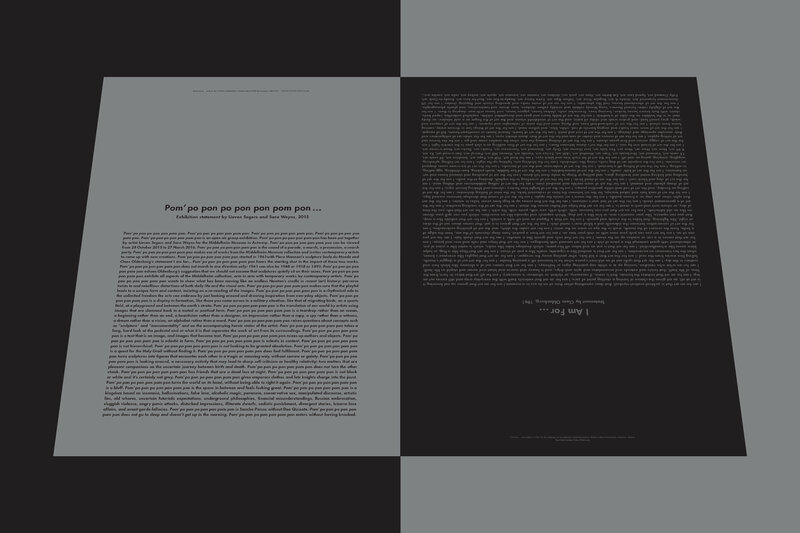 Poster inspired by the sculpture Socle du Monde by Piero Manzoni. 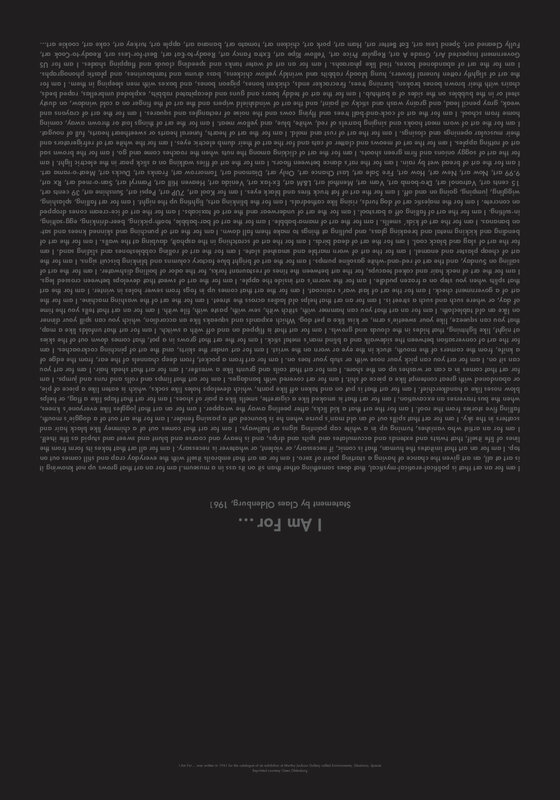 The poster printed on both sides containing Claes Oldenburg's manifesto I Am For... and the text Pom' po pon po pon pon pon pom pon by Sara Weyns and Lieven Segers written on the occasion of the exhibition of the same name in the Middelheim Museum. 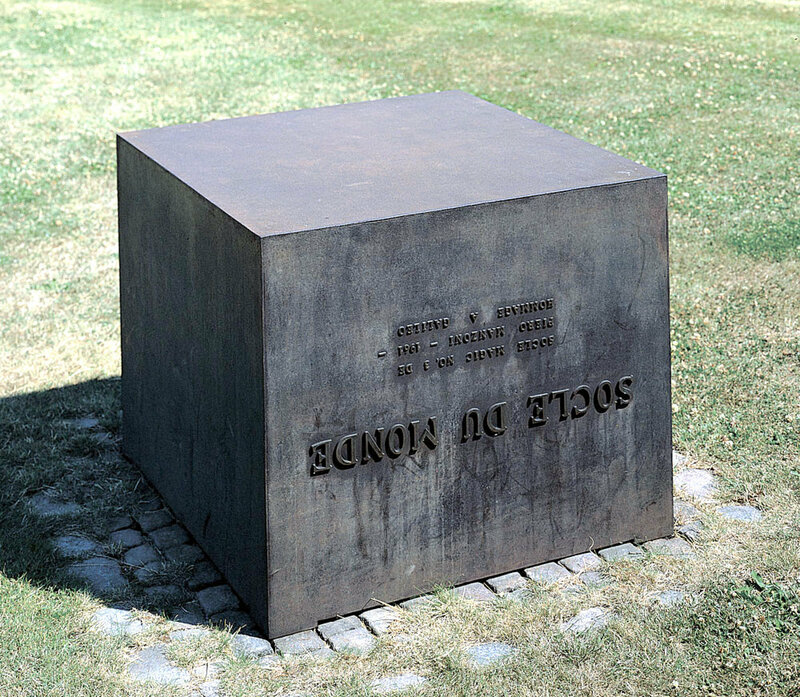 The exhibition mobilises works from the permanent collection, from artists like Isa Genzken and Franz West, bring together existing works by contemporary artists from Belgium and abroad, like Aaron Curry and Roman Signer, and invite contemporary artists to create temporary interventions at Hortiflora, like Guillaume Bijl and Vaast Colson. 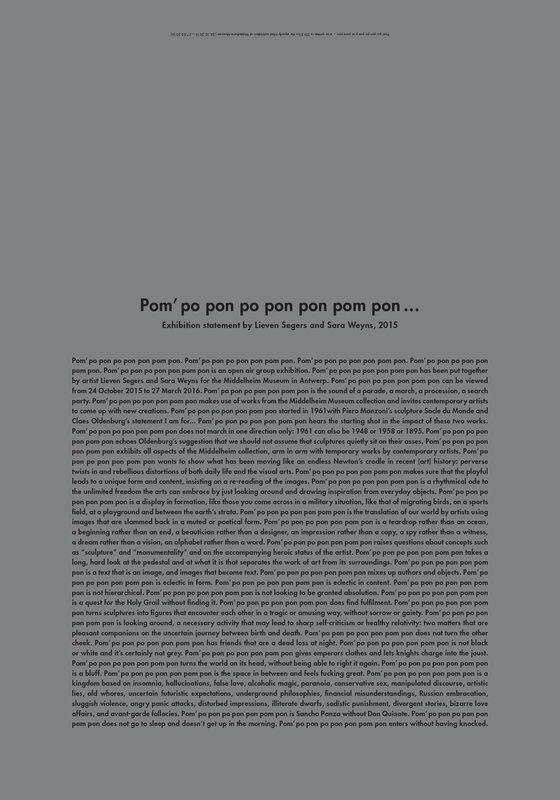 ‘Pom’ po pon po pon pon pom pon’ is (the sound of) a parade, a march, a procession, a man-hunt. It is a rhythmic ode to the unlimited freedom that the arts can assume simply by looking around and being inspired by the commonplace. Major names in recent art history and prized pieces from the collection stand side by side with new works by contemporary artists and with pieces from the museum’s collection that generally receive less attention.